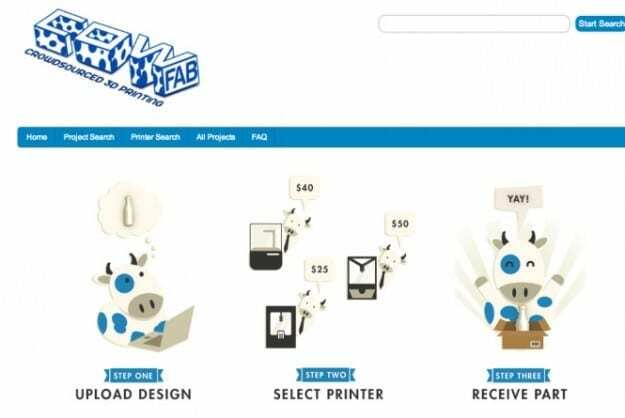 CowFab is a new online bidding platform that allows users without their own printers to post their designs on the site and have 3D printing companies (or individuals) bid on the jobs. Users can upload their design, select a printer, and browse rates enabling competition to drive down prices and make 3D-printed objects affordable. March 26, 2019 - Welcome to the new era of crowdsourced creativity CampaignLiveThe Kissing Booth was one of Netflix's top shows. Does its success mark a new era for collective creativity? March 20, 2019 - Topcoder's Crowdsourced Quality as a Service for On-Demand Testing Enables Faster Speeds, Greater Work Volumes for Customers Associated PressPress release *content* from Business Wire. The AP news staff was not involved in its creation. April 14, 2019 - Opinion | How companies can make the most of bots LivemintEven complex processes can be automated with pre-built bots that are configurable. March 25, 2019 - On the Trail of the Robocall King WIREDAn investigator set out to discover the source of one scammy robocall. Turns out, his target made them by the millions. March 5, 2019 - DigitalOcean Launches ‘Marketplace’ for Crowdsourced, Cloud-Based CI/CD Dice InsightsCloud hosting platform DigitalOcean is going beyond cloud hosting and Kubernetes. With Marketplace, the company is launching its first *service* that allows.